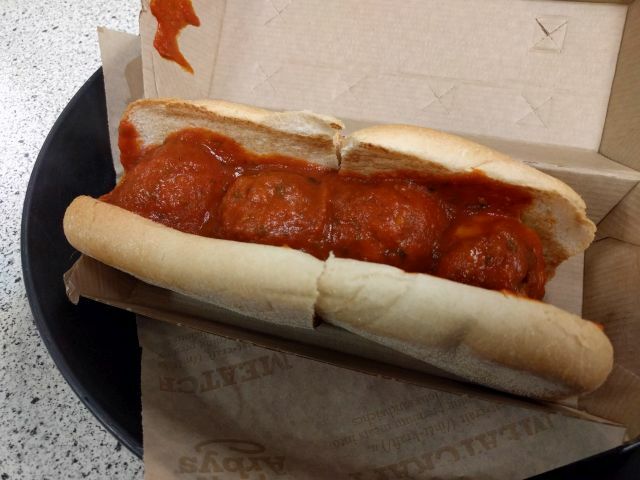 Arby's Italian Meatball Sub features four Italian meatballs, roasted garlic marinara, and provolone cheese on a toasted sub roll. I bought one for $5.59. The meatballs are quite large and enough so that you get some meaty goodness in every bite. They pretty much are enough for every bite from end-to-end. There's a light seasoning to them and they were moist with a soft, spongy feel. The marinara offered up a strong, tangy tomato quality with just a mild bit of garlic and very little sweetness. 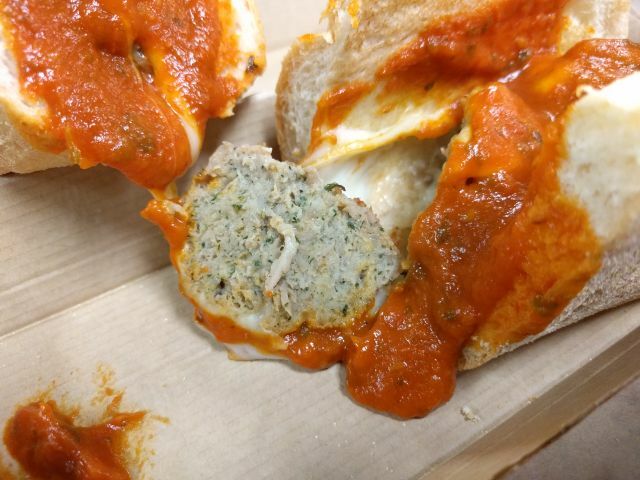 There was plenty of it to cover the meatballs but not so much that the sandwich was falling apart. The cheese was placed under the meatballs so that it was thoroughly melted and stretched out nicely when I pulled the two halves apart. There seemed to be more on one half than the other. 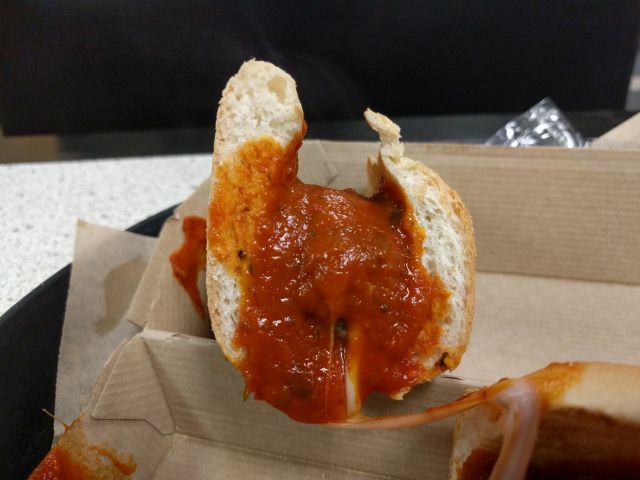 The roll was soft and slightly chewy, which held up to the sauce rather well. There was just a slight bit of crustiness to the surface for added texture. Overall, Arby's Italian Meatball Sub was really good with all the requisite components substantially present but also balanced.